My business partner and I like to say that we are here to serve your favorite flavor of boring every day. As boring as insurance is, it is necessary and important to have the right coverage in place. Insurance is not only here to help mitigate risk it it also the vehicle used to protect your most precious assets. 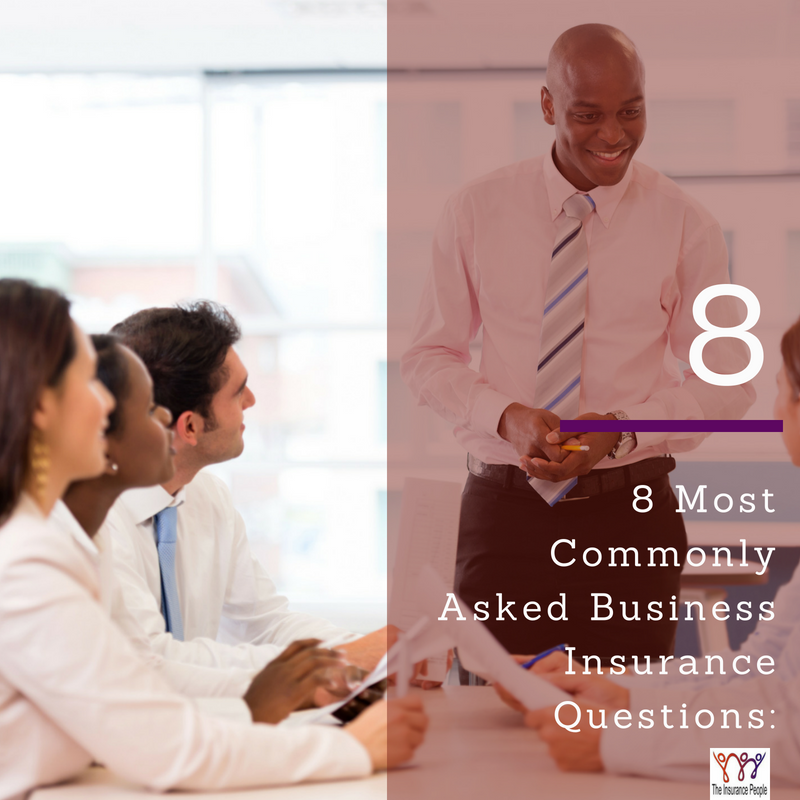 Here are some of the most frequently asked questions (of me) in regards to business insurance. Does my business need (EPLI) employment practices liability? If your business has employees then you are exposed for a loss related to employee practices. This isn’t just sexual harassment, it also includes unfair hiring/ firing practices, discrimination as well as unsafe work environment. Losses from a 3rd Party are also included. Did you know that If someone enters your business and harms your employee you can be sued by your employee? This is not covered under your general liability insurance. Hired and non-owned auto liability insurance is a coverage found most often on business auto policies or the business owner policies (BOP). The coverage provides protection for the business in the event an employee gets into an at-fault auto accident while driving their own personal vehicle or any other vehicle not owned as well as a rented vehicle over the course of their work day. Example: You send your assistant out for stamps at the post office. She runs a red light which in turn causes bodily injury. If the business is sued, hired and non-owned auto insurance coverage responds. General Liability: This coverage protects against financial loss as the result of bodily injury, property damage, medical expenses, libel, slander, defending lawsuits, and settlement bonds or judgments. Example: A woman walks into your brick and mortar and slips on a rug, breaks her hip and sues your business for medical damage. Professional Liability: Protecting your business against bad advice or guidance. Any time you give professional opinion, advice or guidance you are opening yourself up to a professional liability claim. How does my loss ratio affect business insurance premiums? For most small businesses, loss ratio has the most obvious effect on workers compensation insurance premiums. However, over time a business’ loss ratio for liability and property insurance claims can impact premiums as well. The higher your loss ratio, the higher your insurance premiums are going to be. Understanding concepts such as these will help you lower business insurance premiums for your organization. Always consult your agent before you submit a claim. How is a business owners policy (BOP) different from general liability? A business owners policy is a package of coverages designed to address the needs of a specific class of business in an easy to purchase format. When you think of business insurance, what is the first coverage that comes to mind? It’s most likely general liability insurance. General liability insurance provides legal defense and insurance protection against things like slips, trips and falls as well as 3rd party property damage. General liability is a very important coverage to your business, but it is only one of the many coverages that you need to properly protect your business. A business owners policy, or BOP, is a package of coverages, including general liability, that have been grouped together to provide, at minimum, coverage for the basic common losses faced by a business. Not every business has access to a business owners policy because of the unique exposures that business might have. It’s important talk to a independent insurance agent about whether or not a business owners policy is a good fit for your business. Why does it take longer to get a business insurance quote than an auto insurance quote? …and that is with Business Insurance (in most cases) there is an actual human being reviewing your application. This can work in your favor pricing wise because a human can make pricing determinations based on your business’s specific risks and not the risks of similar businesses. Why are WC rates so expensive? Almost every business based in the US that has employees is required to have WC insurance. WC rates are based on employee classification (with regards to the type of work they perform). The premium rate itself is expressed in dollars and cents for every $100 of payroll to each class code. There are 3 factors that will impact your WC rate. I am a small business and need health insurance. Can you help? YES! ACA has been a hot mess but the group benefits segment of the industry has been pretty steady. So much so that group rates are anywhere from 10-30% less expensive than individual rates (Bet you didn’t see that coming). Additionally, plans in the group market allow you to have access to all of the hospitals you know and love. What do you need? You need to be a Sole Prop, LLC, S Corp and or C Corp and you must have either a biz partner a W2 employee (can be a part-timer) or a 1099 Contractor. Different carriers have different guidelines but it is possible to have a 1 person group and have access to the networks that we all know and love along with better rates. Looking for more answers? Click here to contact us today!